Spring brings with it rumbling thunderstorms. A fresh earthy aroma. And plenty of great photo ops! Mud puddles. Big puddles. Splashing puddles. And endless entertainment, particularly for three little girls. Could life be any better? I think not! 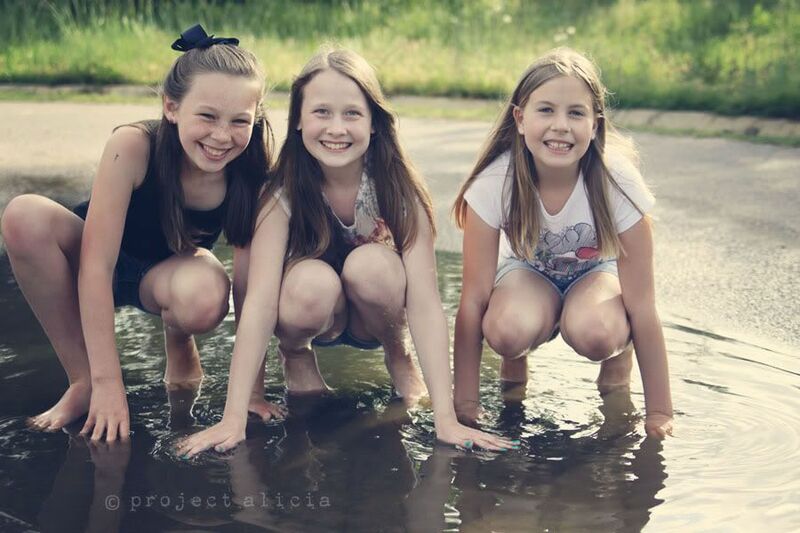 Thanks to Pokey and her friends for being such great subjects! And a special thanks to you all for your wonderful submissions for the Leap Into Spring Challenge! I can't wait to see what you come up with this week! I’m teaming up with Rebecca of Bumbles and Light and Kristi of Live and Love Out Loud to bring you the Leap Into Spring! Photo Challenge – a 6-week photography challenge aimed at capturing the beauty of spring. Two prompts to choose from each week! Share your favorite images inspired by one of our weekly prompts. Or both. It’s totally up to you. The linky will remain open from 9am Friday – 9am Thursday CST. Leap Into Spring! blog post or Flickr photo, not your blog’s home page or Flickr photostream. Feel free to share your photos in our Leap Into Spring! Flickr Group as well. We’ll be showcasing some of your lovely photos by pinning our favorite submissions to our Leap Into Spring! Pinterest Board each week. We love Instagram just as much as you do! We’ll be on the lookout for your lovely spring photos, so be sure to use the #leapintospring hashtag. Next week’s prompt will be Grass/Green. For a complete list of upcoming prompts, head on over to the Leap Into Spring! Photo Challenge page. on capturing water in motion. ThisLife ThisLife is an online service that automagically organizes photos and videos from your computer, Facebook, Instagram and more, in a chronological timeline; safely storing them in the cloud. Now available on your iPhone and iPad as well. Topaz Labs Topaz Labs’ innovative image enhancing plug-ins improve your workflow and streamline productivity with its easy-to-use interface. Powerful. Professional. Flexible. Available for Photoshop, PSE, Lightroom and more. AdoramaPix Impeccable service. Affordable prices. AdoramaPix is an awesome source for fine quality photo prints, photo books, photo framing, gallery wrapped canvases and all of your photo finishing needs. Life-n-Reflection Life-n-Reflection is your one-stop shop for gorgeous custom card, photo album and collage templates and photo enhancing textures as well. Veronica Armstrong Photography Veronica Armstrong is a talented New York based photographer who creates “pretty prints for pretty places”. Her growing collection of prints are a feast for the eyes – textures and light reign supreme. Forshee Designs Practical. Pretty. Handmade. Forshee Designs is overflowing with beautifully handmade camera strap covers, laptop sleeves, iPad/tablet/e-reader sleeves, aprons and more. Custom orders accepted as well. 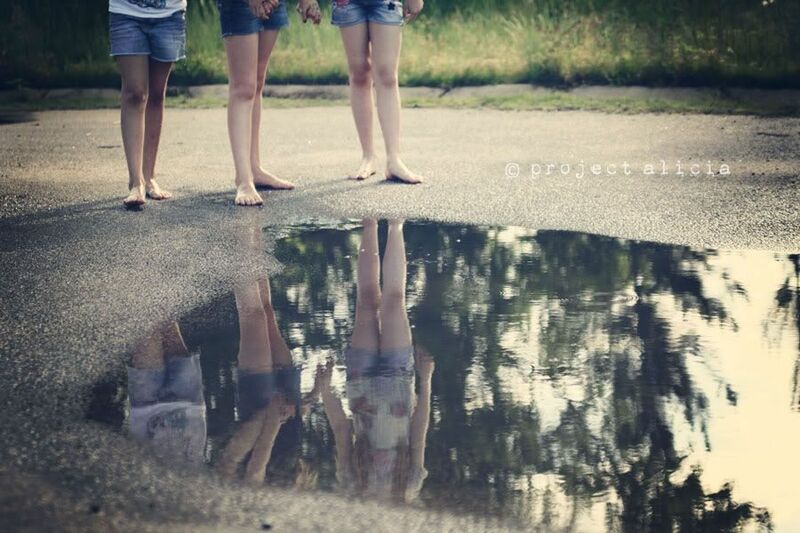 PS - I'm really longing for puddle-jumping weather here!!! All that water sure looks inviting!!! These are great, Lish! 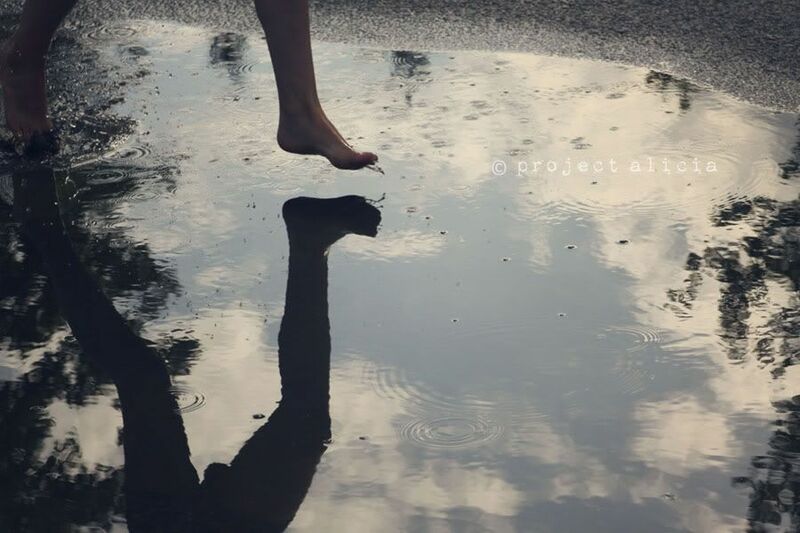 I especially love the photo of the girl (not sure if it's your daughter or a friend) jumping over the puddle. And the collage is great! So many lovely shots and such beautiful elements, as well. These photos are so fun and full of life! Great job! Those puddles look like fun! 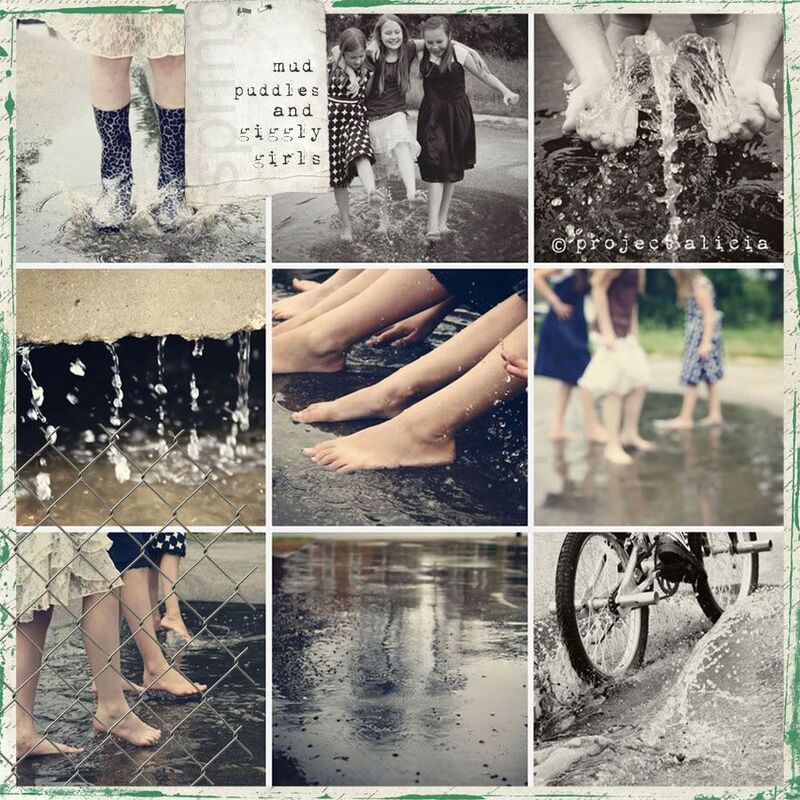 Beautiful images of rainwater and fun in the rain! 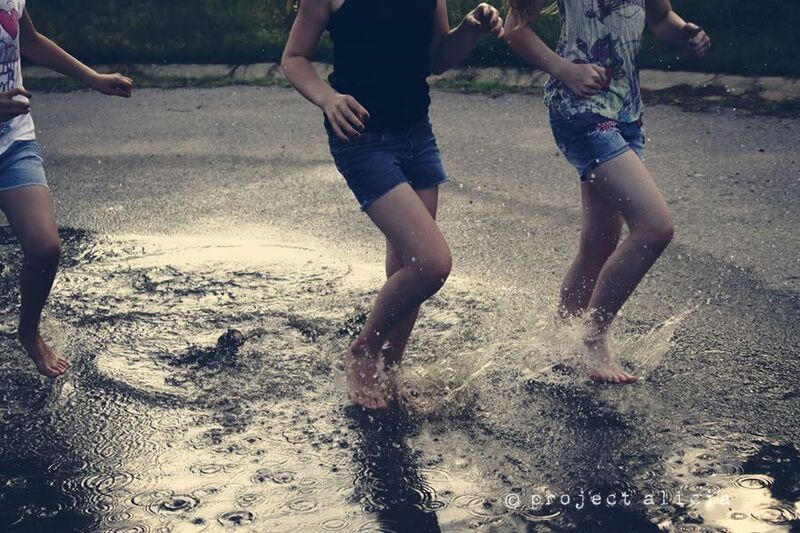 All that play in the puddles brought back memories. Gorgeous pics! How do you keep your camera dry? Looks like everyone had fun! I wish we had puddles around here because that would mean our wheat crop was getting a much-needed drink of water. Thanks for hosting, Alicia! Lovely set. The girls are so cute, happy and giggly. Love it! Very cool group of photos! Lovely photos as always! The girls look like they had fun playing in the puddles. Fine and bright photos, excellent, delicious. How fun! I am dying for warm spring rain. Love that smell. These are fantastic shots. OMGoodness! 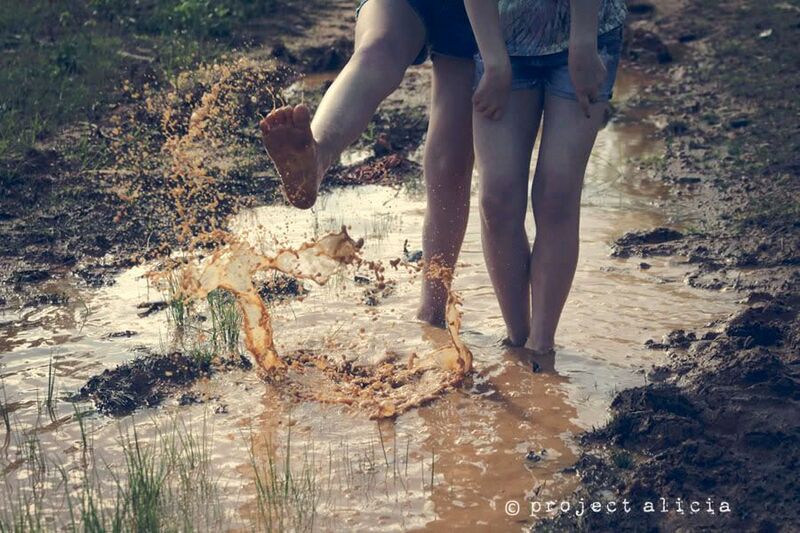 I've never wanted to go barefoot & jump in some mud puddles, like I do now! ABSOLUTELY LOVE these... the reflections, clarity, & the FUN!! I couldn't find rain here so linked a picture I thought was cool looking into a tulip. Fantastic photos! What joyful pictures! Looks like they had a lot of fun. What great shots! It looks like so much fun and pretty close the session I've had working in my head for some time. . . I just have to find the kids to do it for me! Almost didn't make this link up! So glad that I did, though! I'm loving this! My tulips have finally had some rain water!I am using an Aiptek digital camera. Any recommendations for a good digital camera light weight and not to expensive that takes good pictures. People have said the Aiptek doesn't work that well. I have taken some good shoots with it let me know what you think of the the photos. OMG! I just LOVE ur pictures!